A link to "Update your Business Trunks call forwarding destinations online" will be sent via email. Your link to 'Update your Business Trunks call forwarding destinations online' has been sent! 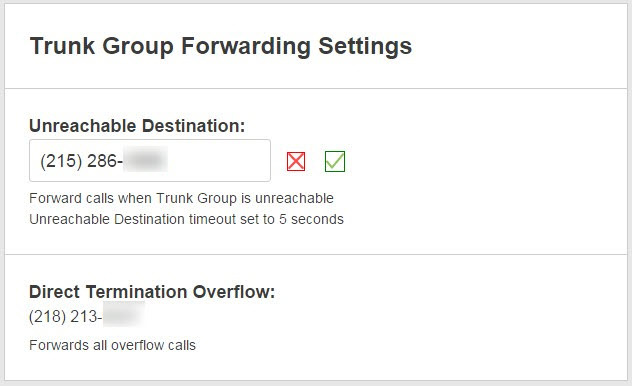 Manage your Business Trunks call forwarding settings from My Account. Access your account to update Unreachable Destination and Call Forwarding Not Reachable telephone numbers. Sign in to My Account and select PRI Trunk from the Services menu. 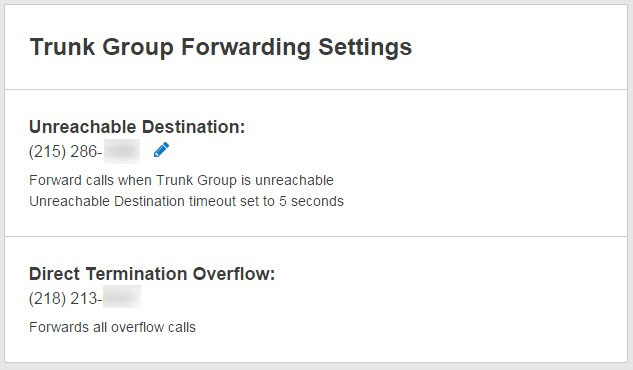 Select Forwarding Settings from the menu on the left. Select the Pencil icon to edit the phone number you would like to use for Unreachable Destination. Enter the new destination number and select the green check mark to save. Enter the telephone number for which you would like to edit call forwarding settings. 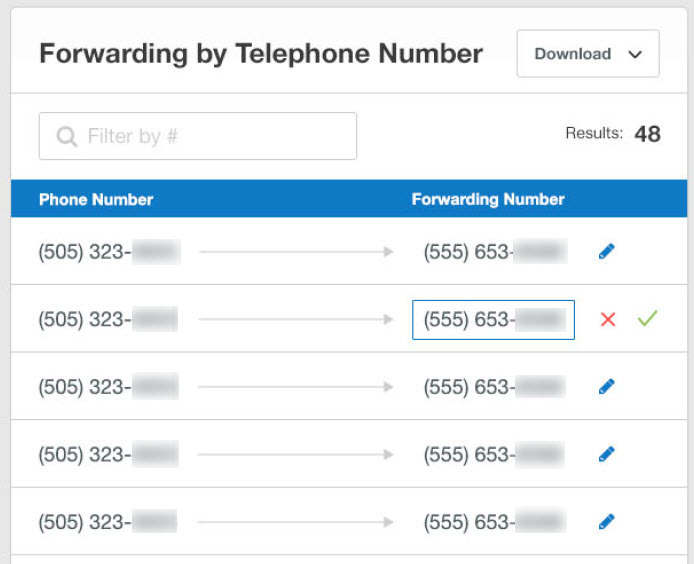 Select the pencil icon to edit the call forwarding destination number. Enter the new destination number and select the green check mark to save. View a list of phone numbers associated with your Comcast Business Trunks account. Learn about how to view and manage utilization reports associated with your Comcast Business Trunks account.